one application of compost, mostly in early winter. 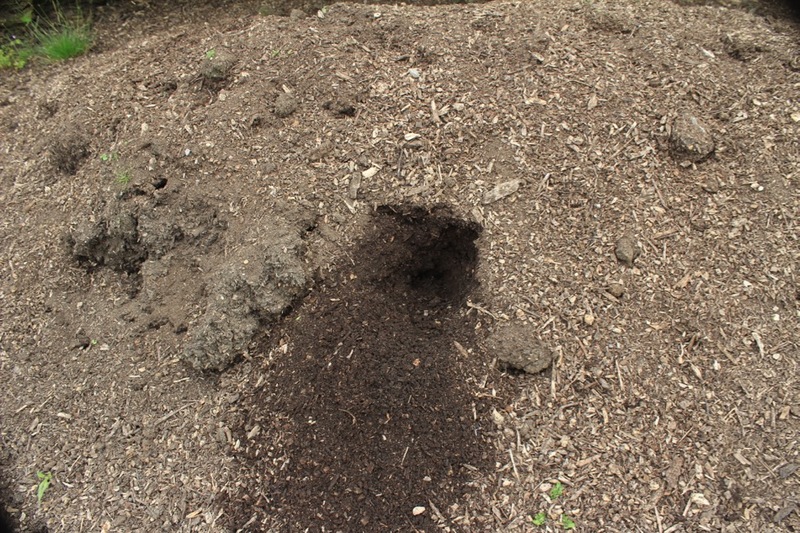 Compost is soil food, storing nutrients until plants ask for them, mediated by soil life such as mycorrhizal fungi, which thrive in undug soil. Summer weather is now here, especially to southern Britain after fine weather drizzle on St Swithins Day. 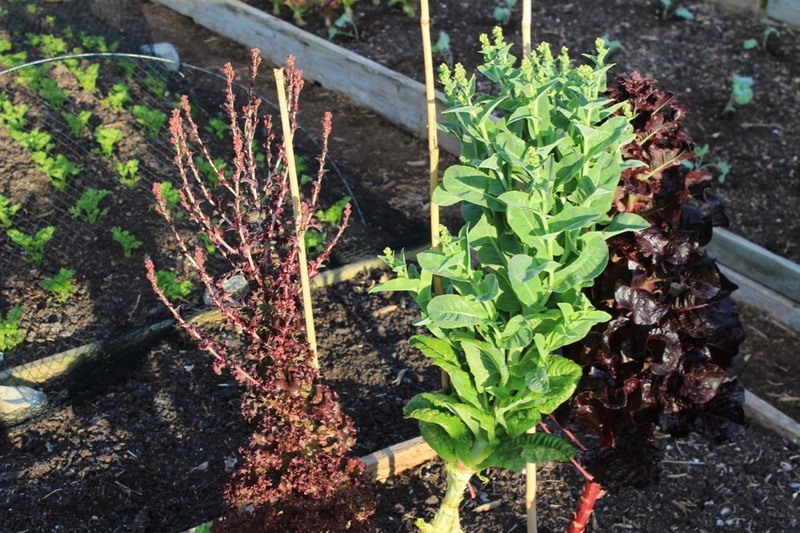 However blight is established in most of the UK and if you see brown leaves, best cut off all stems just above ground level. 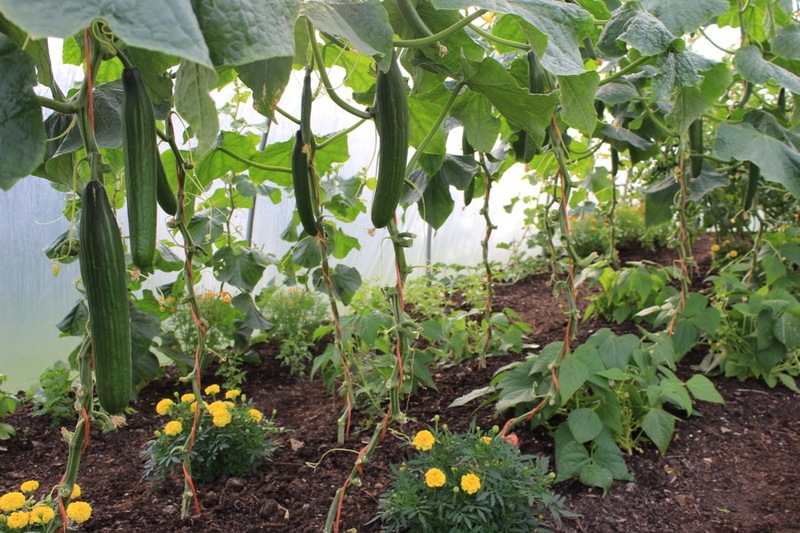 Then harvest as soon as possible, before slugs get interested. 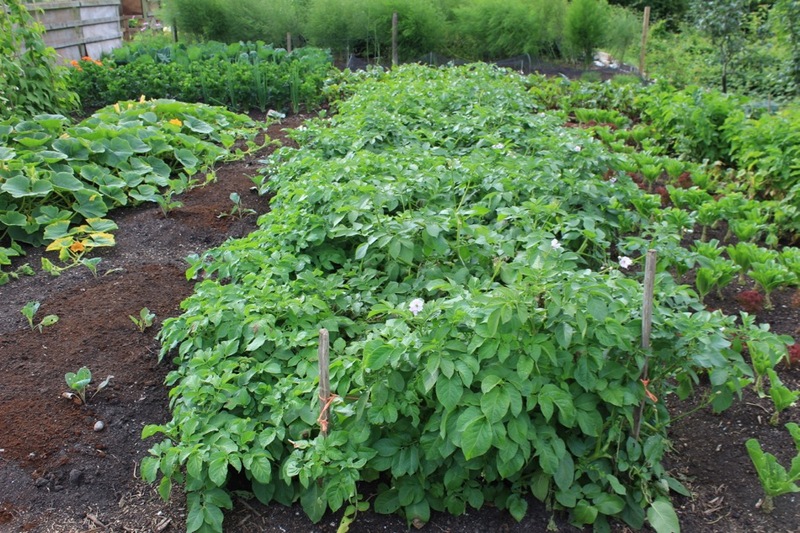 In a trial here, the potato plants on a bed which we loosened with a fork are the only ones to have succumbed to blight, so far. 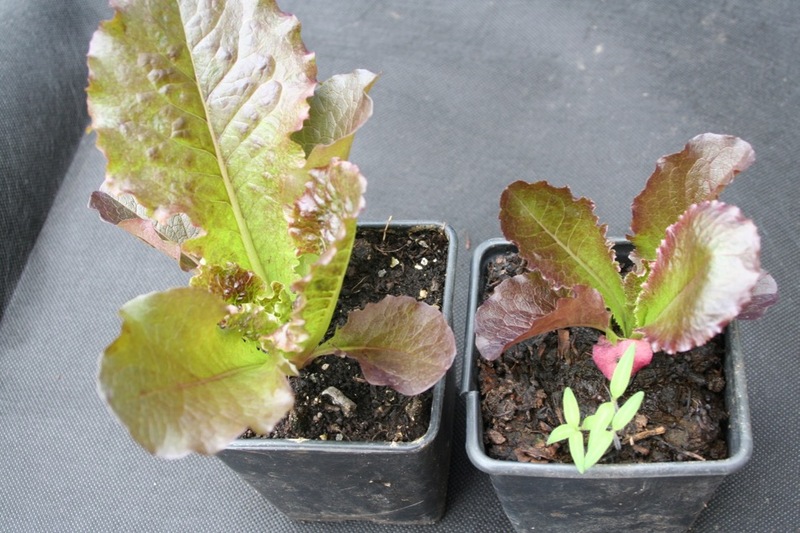 The plants next to them, in undug soil and with the same amount of compost on top, were blight free. Yields were 6.3kg from the dug, 7.4kg from undug with the same mushroom compost mulch, and 7.9kg from undug with cow manure mulch. 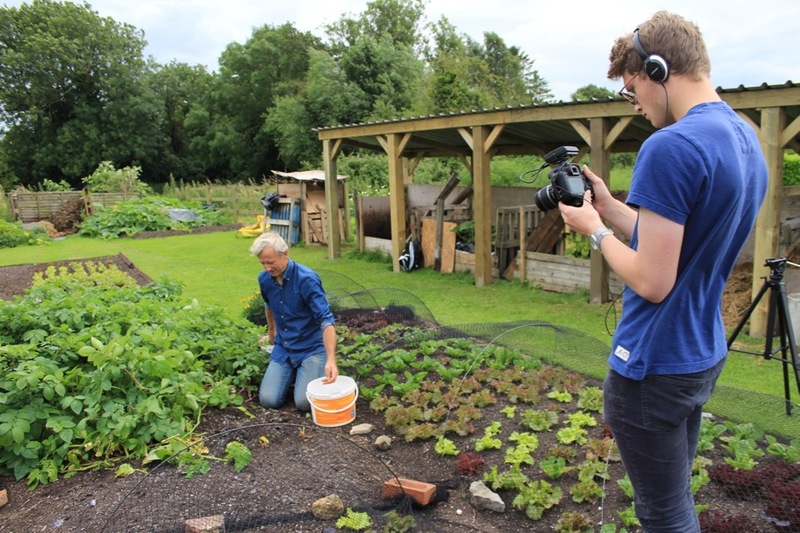 See more info on potato and onion harvesting in a video I just posted. Also a super fast video on Instagram and Facebook. 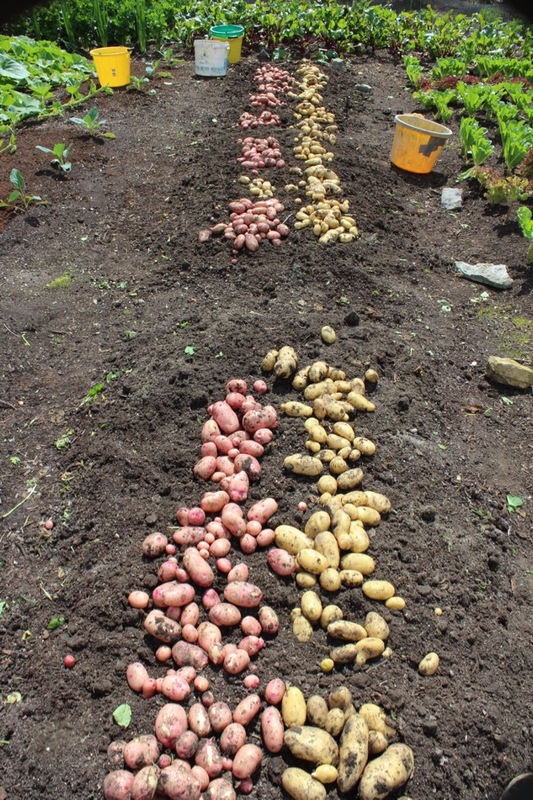 Before harvest of potatoes: blight is only on the dug strip nearest to camera. Total yield was 21.6kg or 48lb. 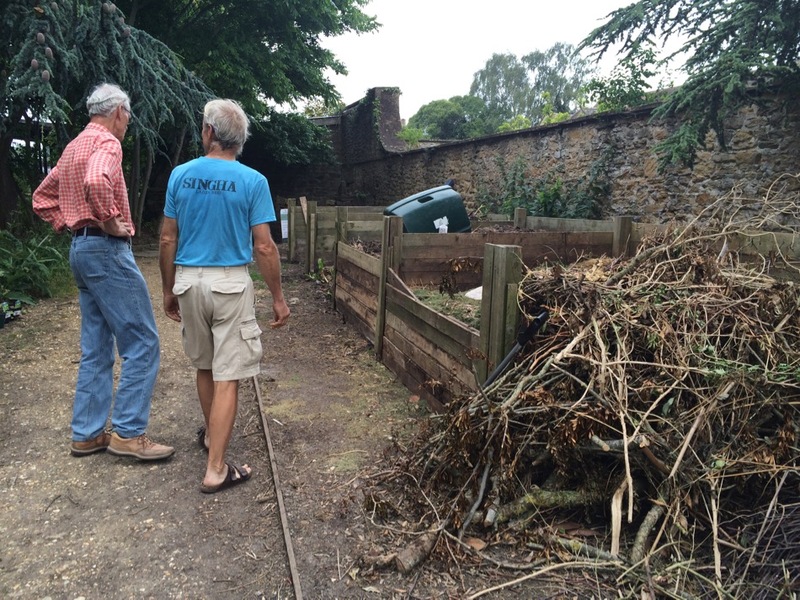 Green waste compost can look black and finished before it actually is. My heap arrived a month ago and was 60C, steaming hot; its still 51C, one foot in. If you take delivery of steaming compost like this, its best left in a heap to finish composting, say from now until November. Similar for wood chips and shavings. I just took delivery of a tree surgeon’s waste which contains green leaves too, its composting at 52C after two days. 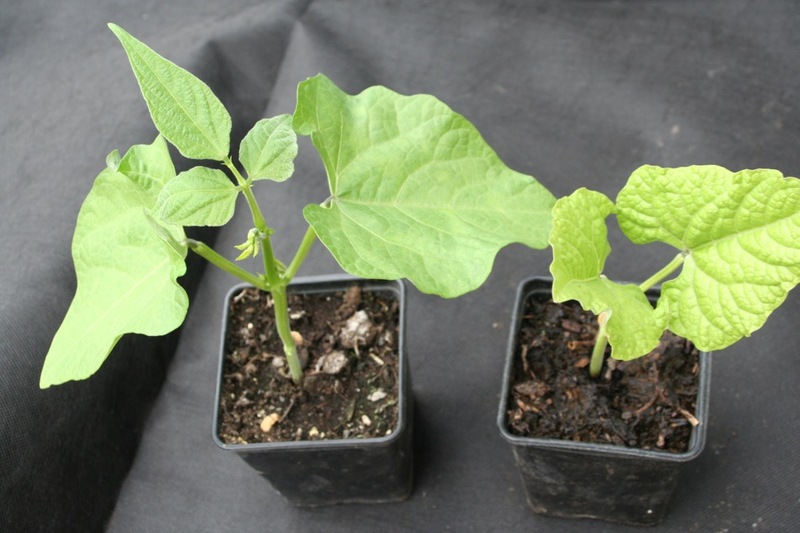 See the photos of French beans where woody ingredients are still using nutrients for their own decomposition. 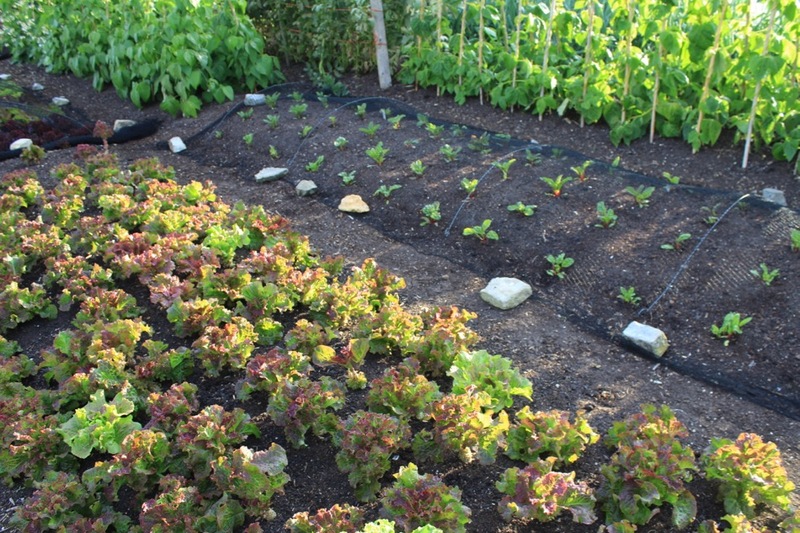 I added chicken manure pellets (New Horizon organic) to one row, hence the difference in leaf colour. This is becoming a problem again. This link has information. 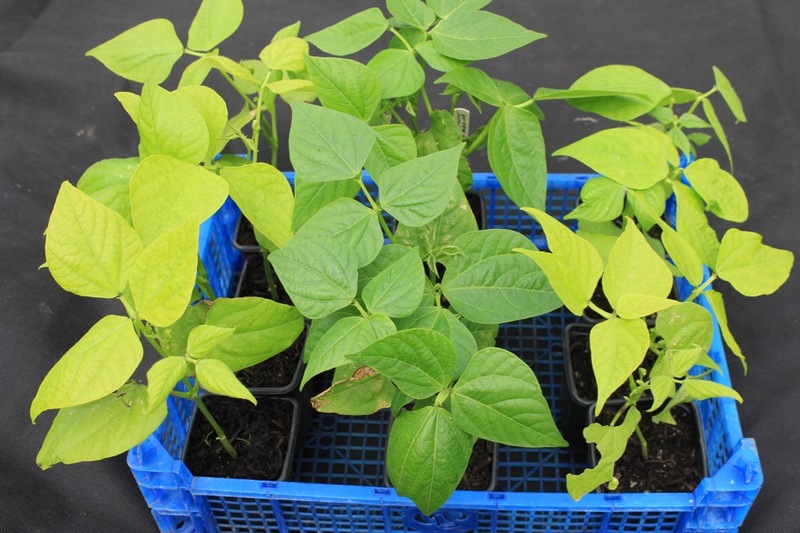 I recommend you do “bioassays” with tomato, potato and legume plants to check for aminopyralid contamination. This year, no problems here. Its worth checking horse manure mainly, perhaps green waste and other composts too. 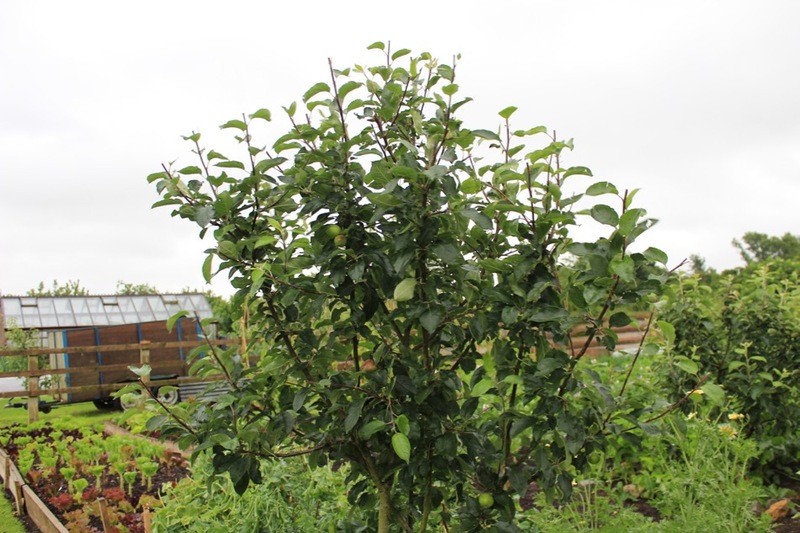 There is still just time for pruning, to keep trees in your desired shape, and encourage more fruit buds to form this autumn. We cut off about half of this year’s growth and took out a few overlapping branches. The apple tree below is in its fourth summer, I planted it as a whip (large stick). Its that time! 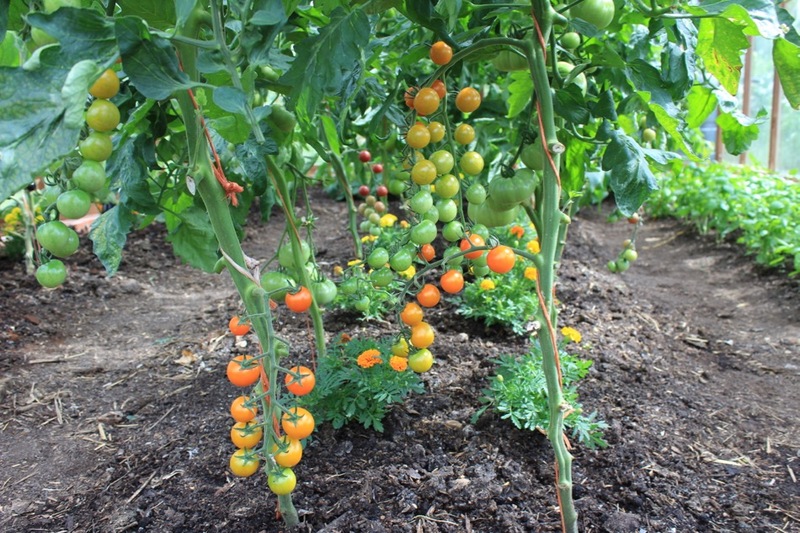 Undercover, Sungold has been ripening for a while, closely followed by Garden Pearl and Rosella: all taste really good. 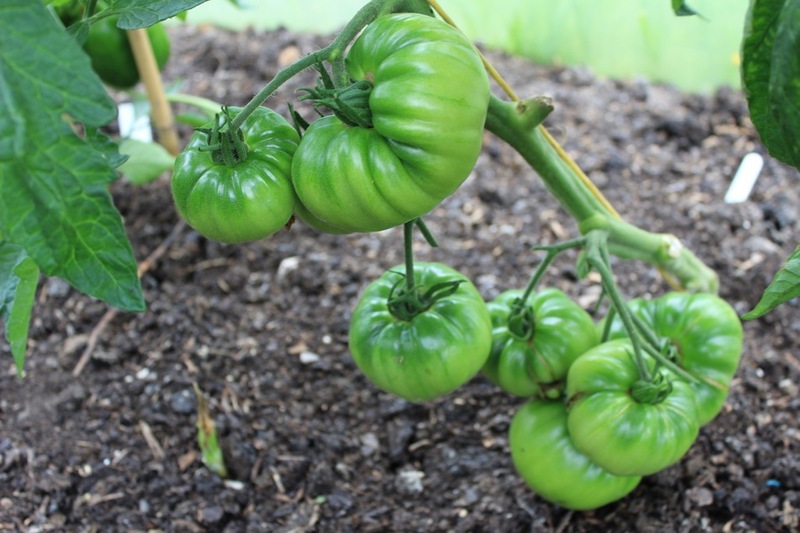 Beef tomatoes take longer and need the warmth which looks to be arriving now. 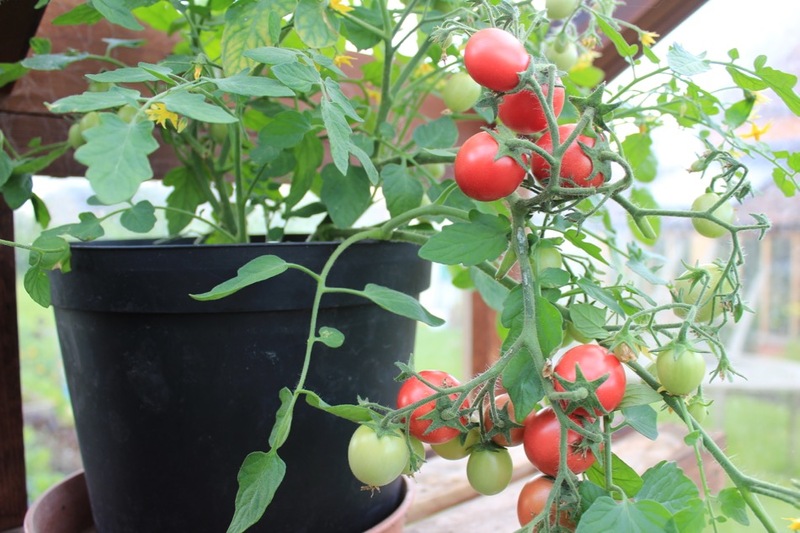 Fruit set over the last month has been poor from a lack of sunshine and warmth, especially on beef tomatoes. Some trusses of Black Russian are completely missing here. Do check out Real Seeds excellent information. 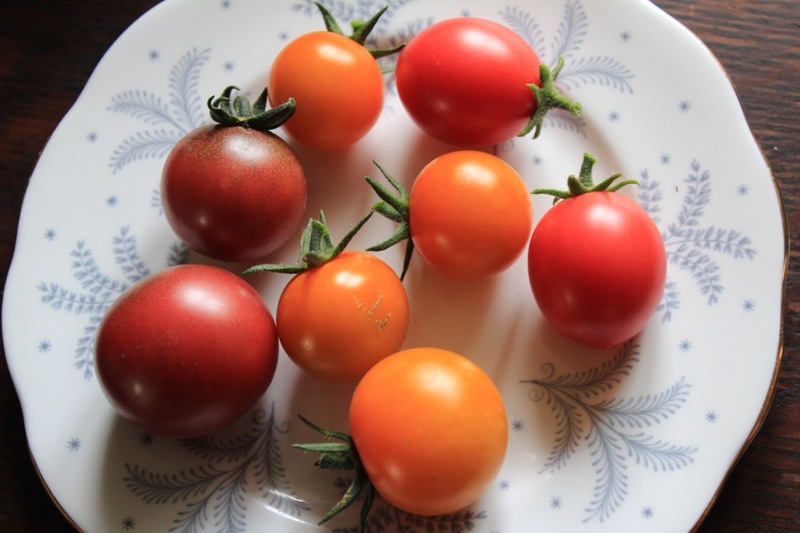 The easiest veg to save seed from are peas, lettuce and non-hybrid tomatoes, as they breed true without cross pollinating, and maintain vigour from the seed of only one plant, without siblings to cross pollinate with. 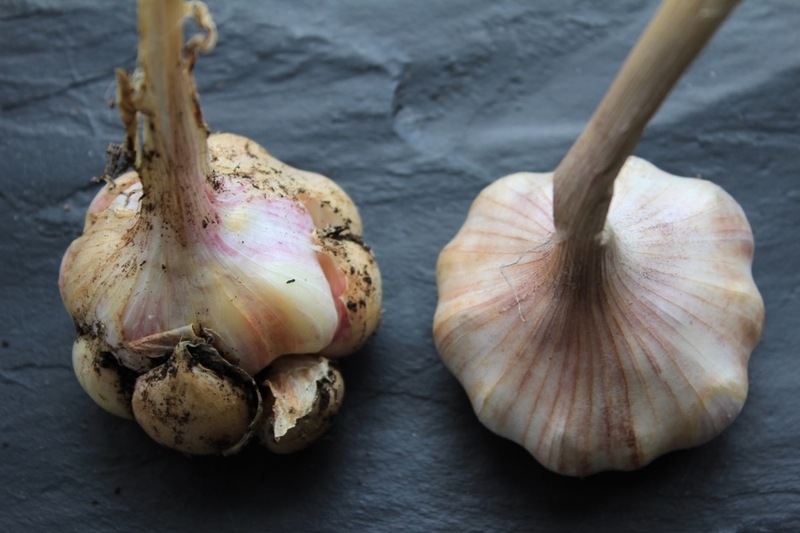 Any garlic still in the ground needs harvesting asap, before its outer skin rots. 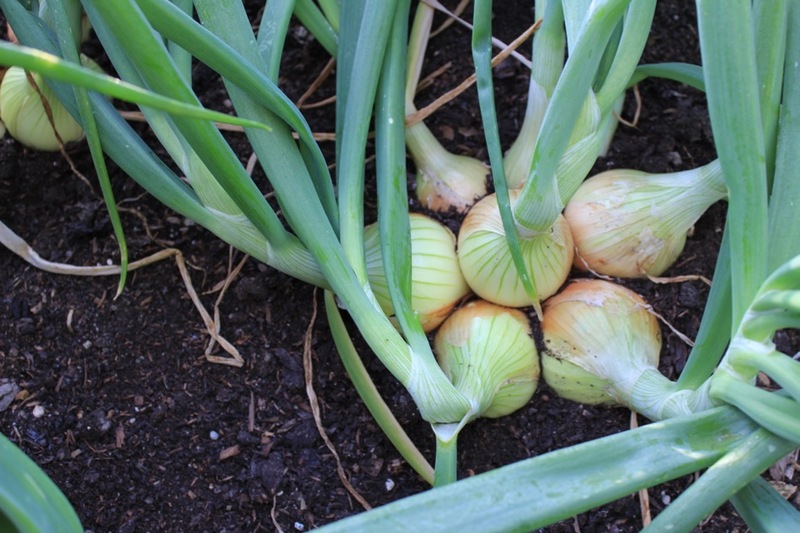 Allium bulbs are best pulled when there is still some green on their leaves, and onions can have their tops bent over to help the necks to dry. 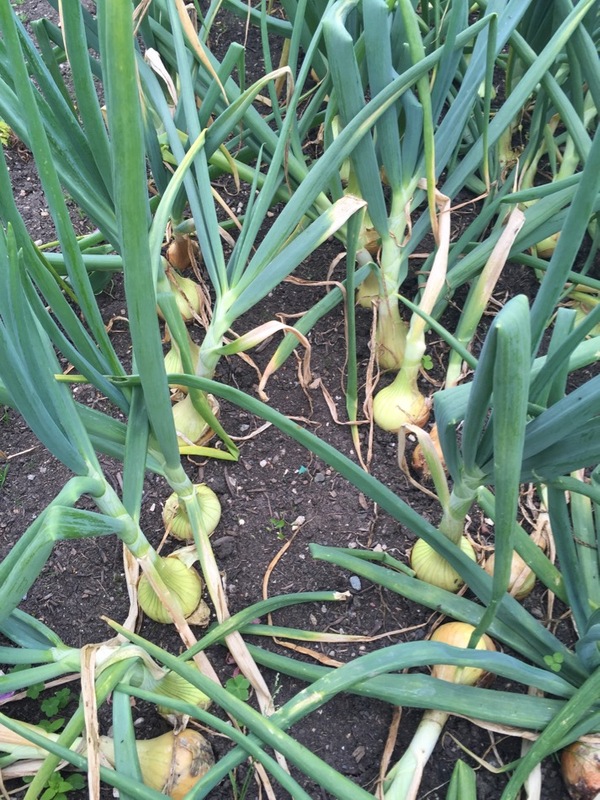 We just did that for shallots grown from seed, which were otherwise thinking to continue growing upwards, unlike the shallots from bulbs which started to yellow two weeks ago. Mark the builder, my neighbour, came with two lads and put this up in a day. Prior to that, Felix and I had done the hard yards of hole digging: Felix used a Kanga drill, to break through through some concrete foundations of a 1960s greenhouse. 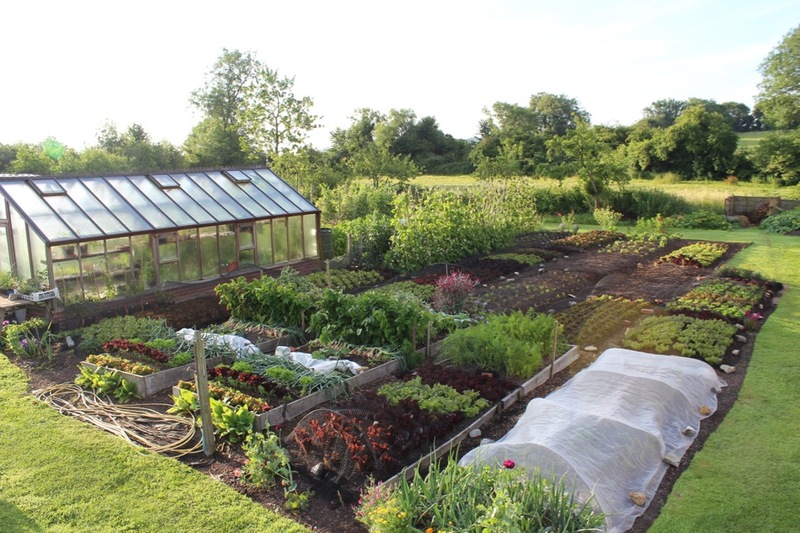 Now its great to have a dry area for the compost heaps, and for drying onions etc. What would you grow up it? It was fascinating to dig holes for the posts! 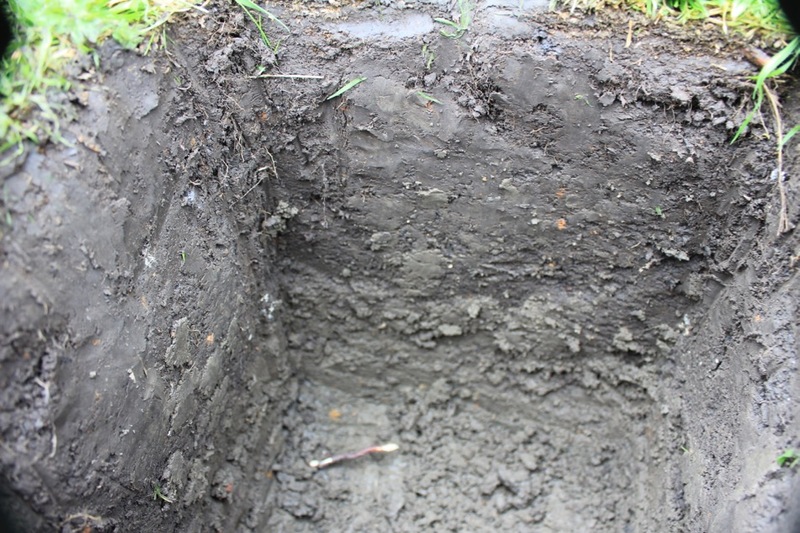 I found dense silt, deeper than in other parts of Homeacres. 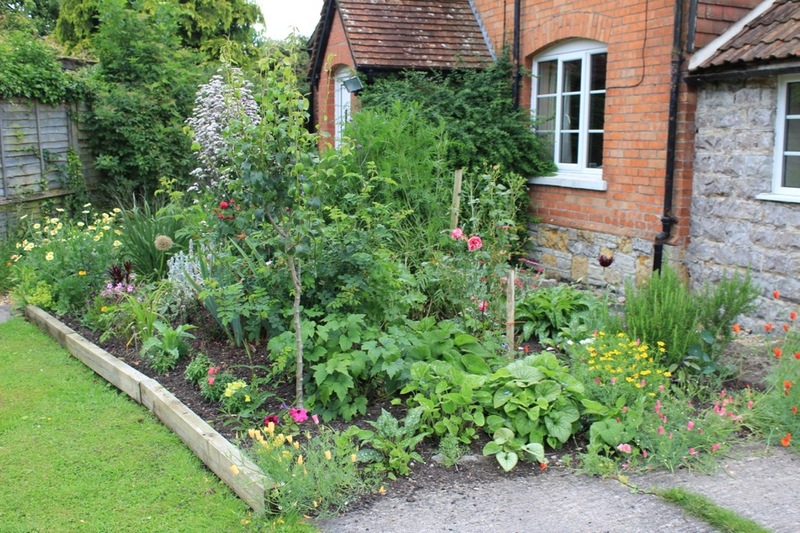 Previously I have gardened on soils ranging from Cotswold brash to white clay. No dig is successful on these soils too. I am surprised at the number of leatherjackets still in the grass roots, and also found roots from a Bramley apple tree, twenty feet from where it had been growing. 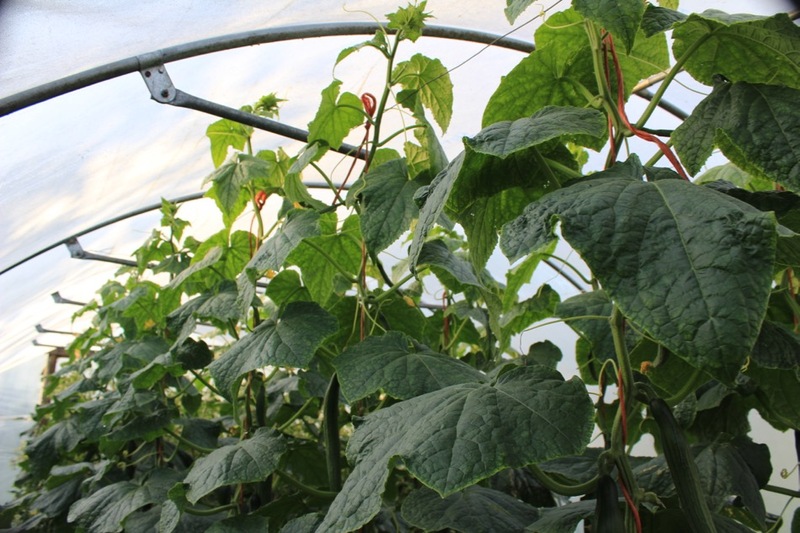 Cucumbers are demanding of water and grow so fast, here they are already going over the polytunnel top wire support at 2m height. I simply encourage the main stem to loop over and then come down again. Some gardeners pinch out the main stem and allow two sideshoots but I find one stem enough. 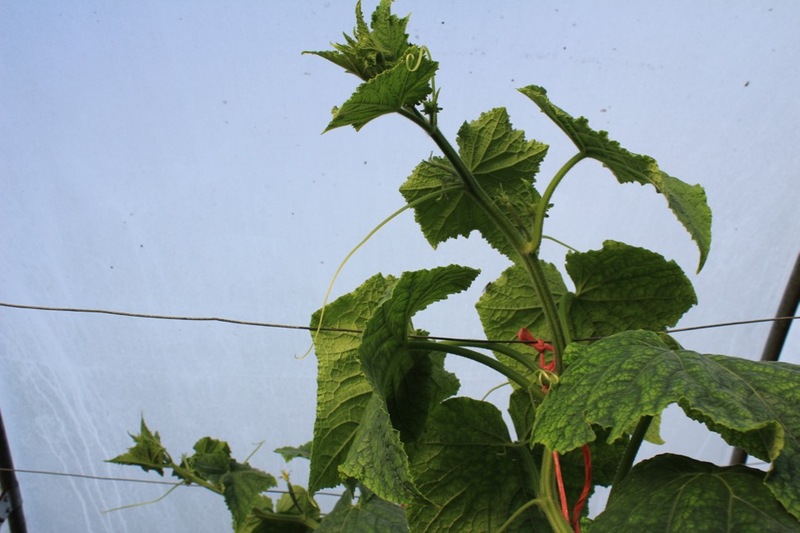 Also I pinch out every other cucumber so that fruits grow steadily, without feast and famine. 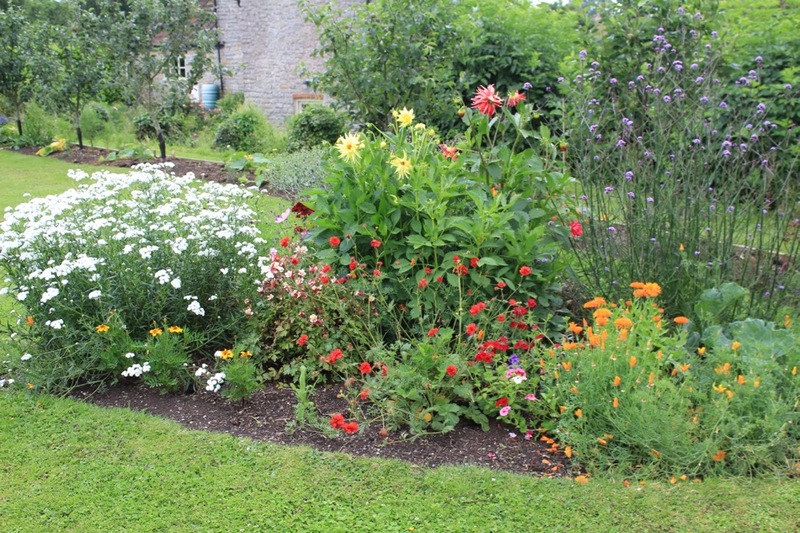 For my flower borders I use about an inch a year of compost mulch, green waste is ideal as flowers are less hungry than veg. I have few shrubs so slug habitats are few, except near the fence where Gert’s border on the other side is full of ivy and other green leaves. There I grow bulbs, verbenas, tangerine sage etc there and keep zinnias and marigolds for the more slug free areas. I hope you enjoy the new videos which are arriving on You Tube. 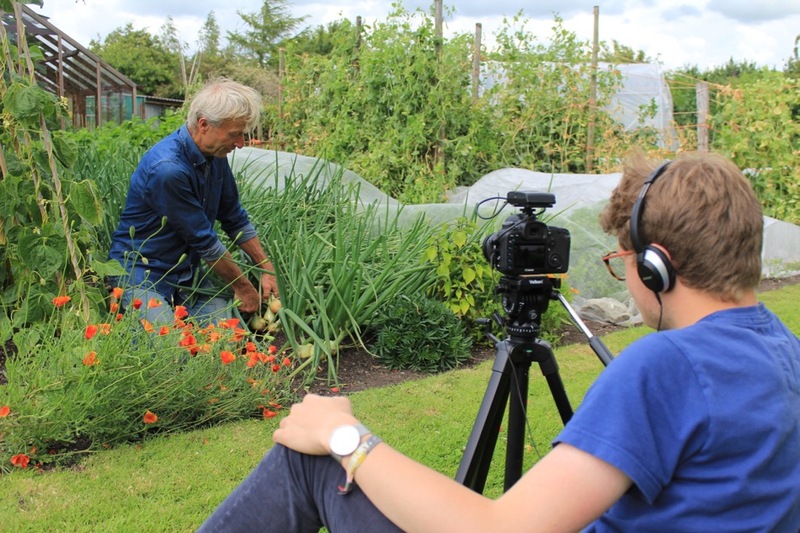 My son Edward is gaining film and editing skills and spent an afternoon here making some new ones, for example this on clearing and replanting. Felix took some photos of the filming. 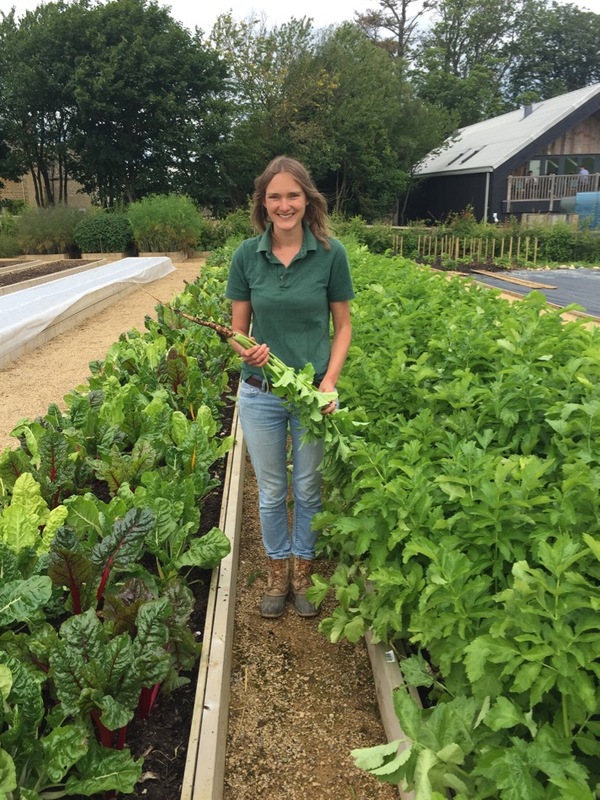 With the resources of Soho House behind her, Anna Greenland has created a beautiful productive garden on half an acre of compacted clay. It had heavy machinery all over it, during building work elsewhere on the site. The machines also scraped off and stacked the soil, not improving its life qualities. 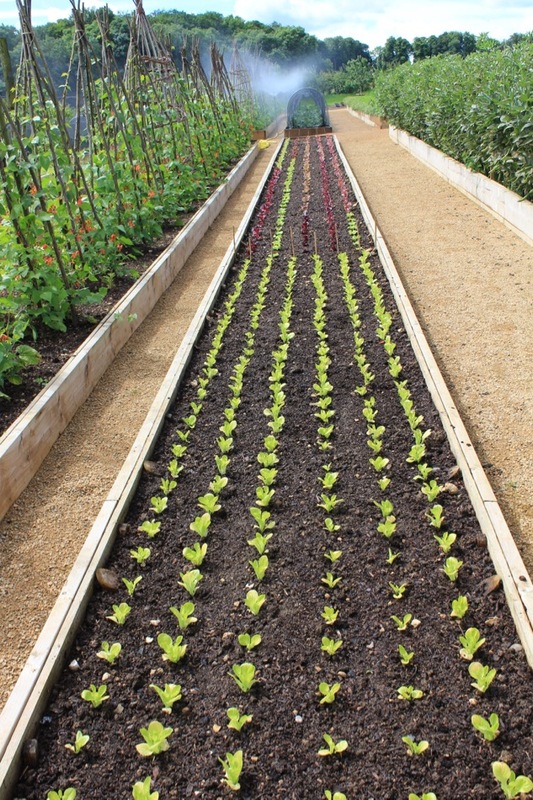 Beds were then filled with this soil and horse manure, which included wood shavings, so not an ideal start. Nonetheless most growth is good, and promises more as the sticky soil below bed level is gradually healed by worms and other organisms. 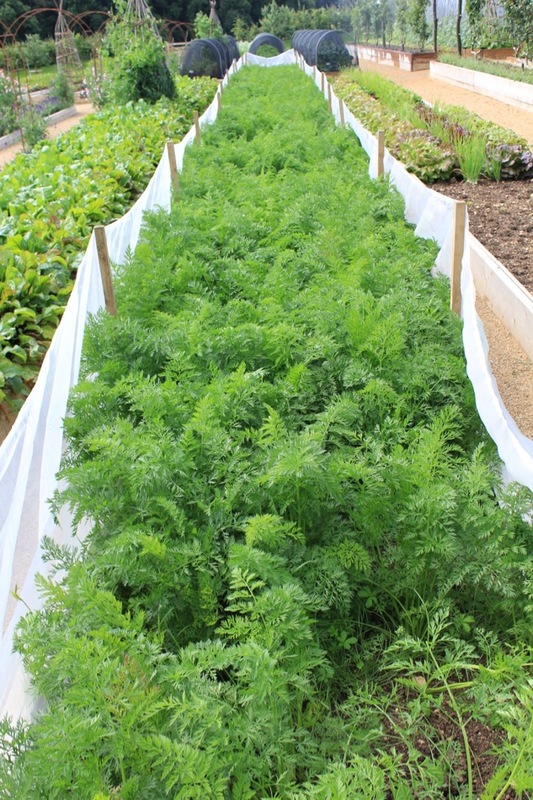 Fred’s long experience of market gardening allows him to crop seven acres of vegetables on his own. Previously he had six employees, when the Duchy ran a box scheme. 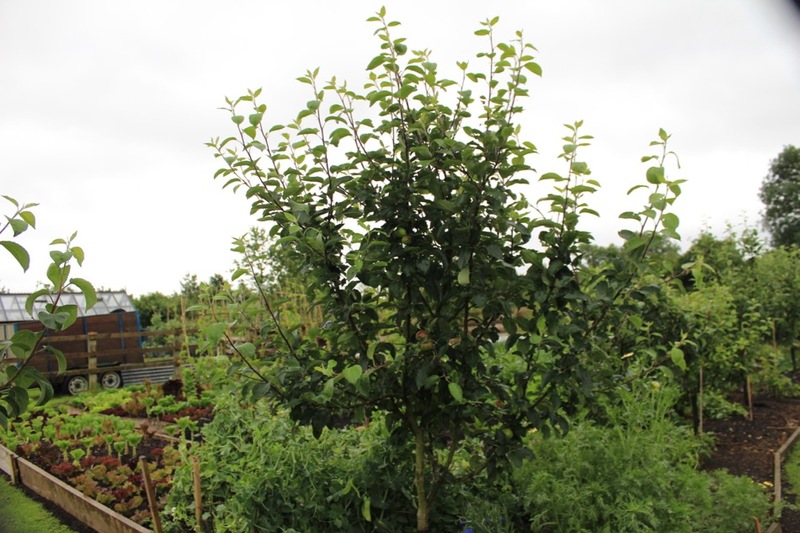 On part of the site are heritage apple trees from Brogdale, purchased by the Prince of Wales. 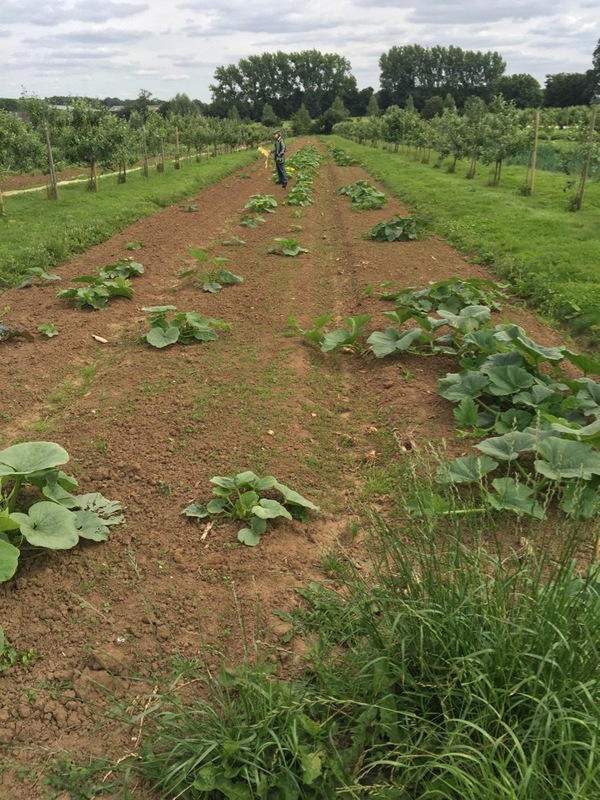 Its a fertile, sandy loam and Fred shapes beds with a special power harrow, three beds between each row of trees. Weeding is mostly by hand and I love his home made hoes, including a bronze one. 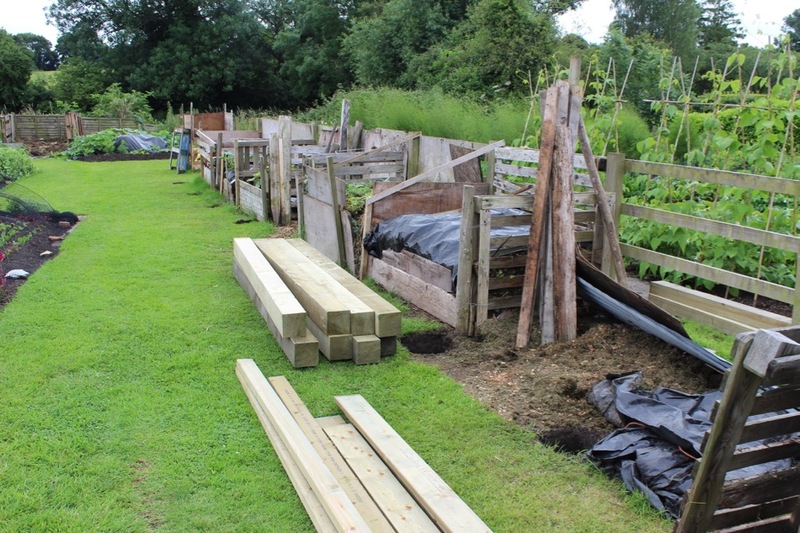 Some of the beds have gaps where Fred experienced difficulty in making a seed bed during some tricky weather. 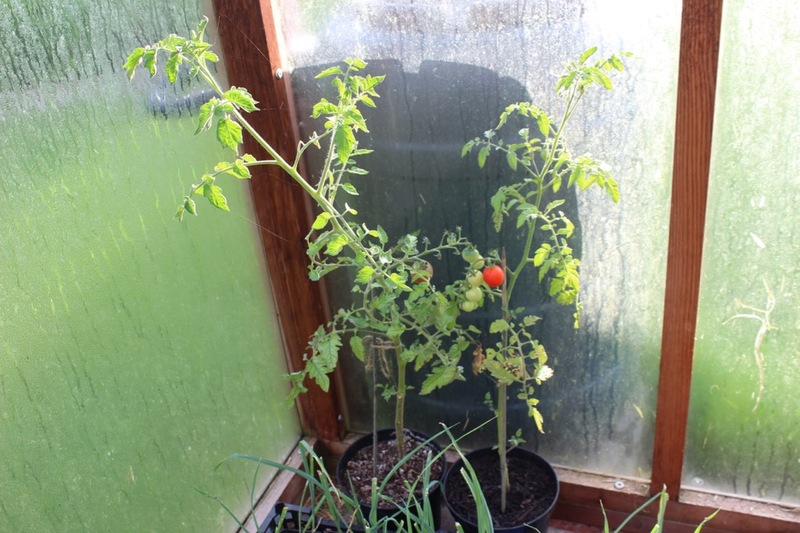 This is not a problem in the no dig polytunnels, mulched with wood chips delivered for free, and tomatoes are the main crop. 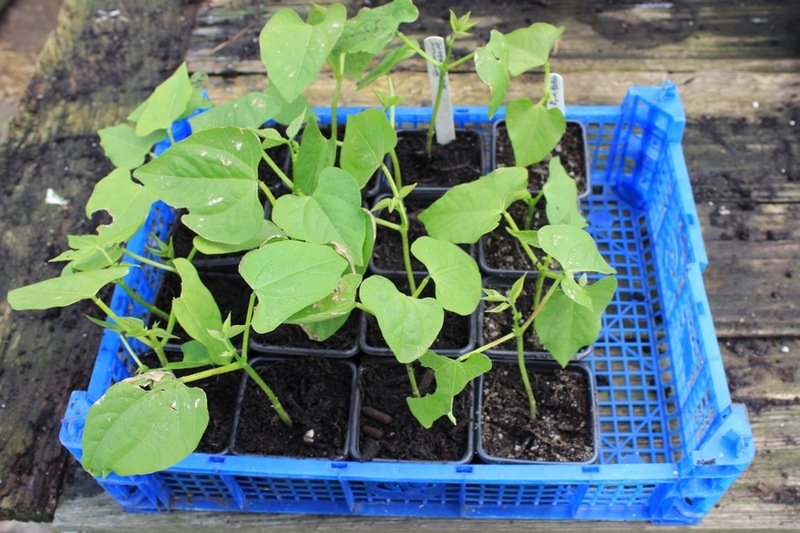 Fred also has a pile of two year old and finer wood chips which he has turned, and it sieves out nicely now for potting compost. Squash planting and that is not Fred! 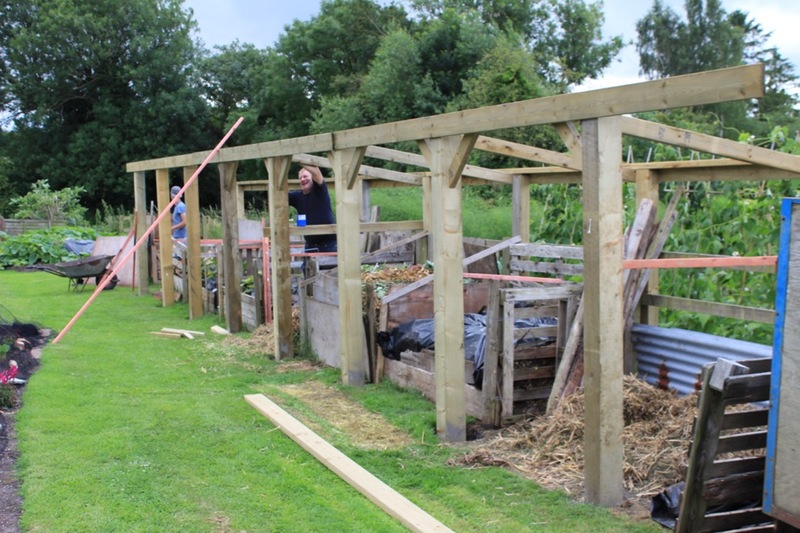 The no dig vegetable garden looks good, considering it is managed mostly by one volunteer Peter Bradford, with some help from other volunteers. Until ten years ago the soil was double dug by squaddies from the local air force base. 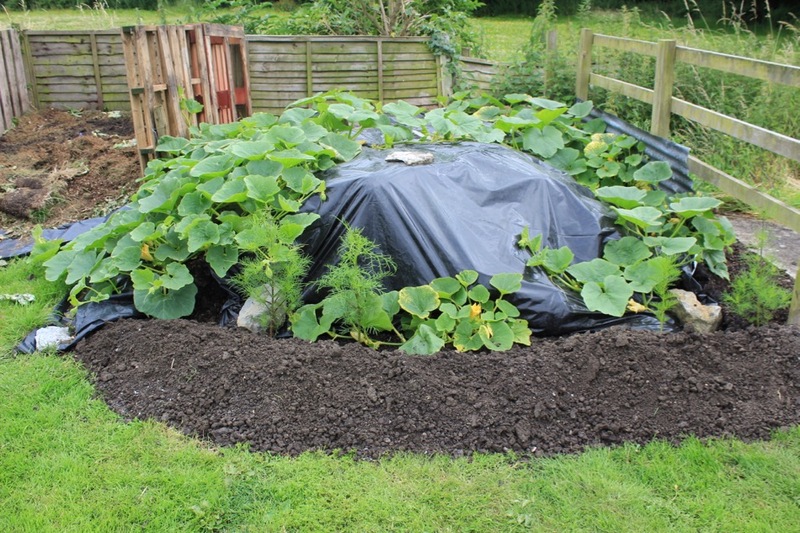 Now it simply has a winter mulch of half to one inch green waste compost. 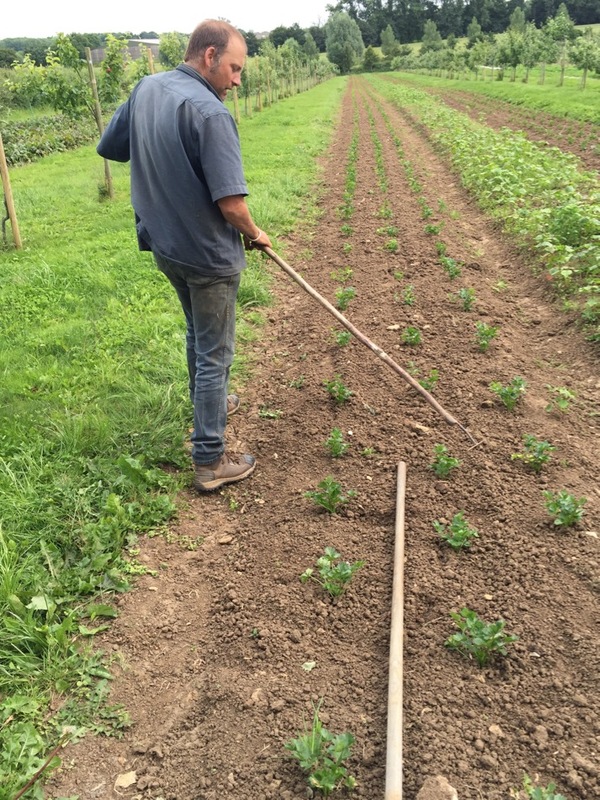 Peter would like to spread more, to improve cropping and reduce weeding. 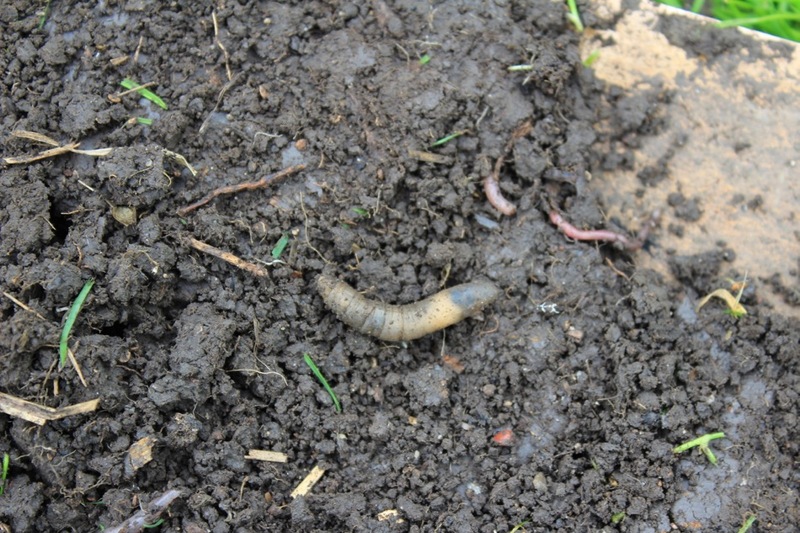 Slugs and rabbits are difficult to control because they have so many hiding places. Rabbits had grazed the French beans and I have been suffering this at Homeacres. 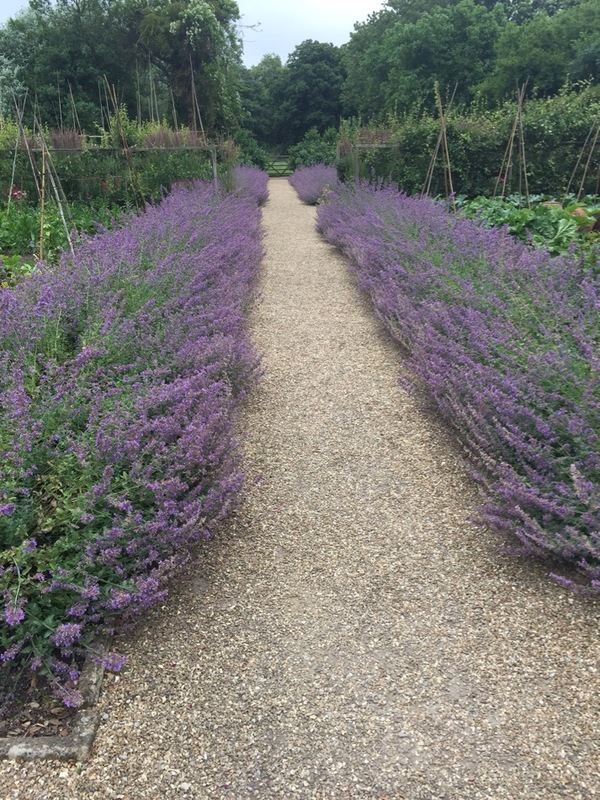 Slugs and snails forage outwards from the catmint where they can stay moist by day. 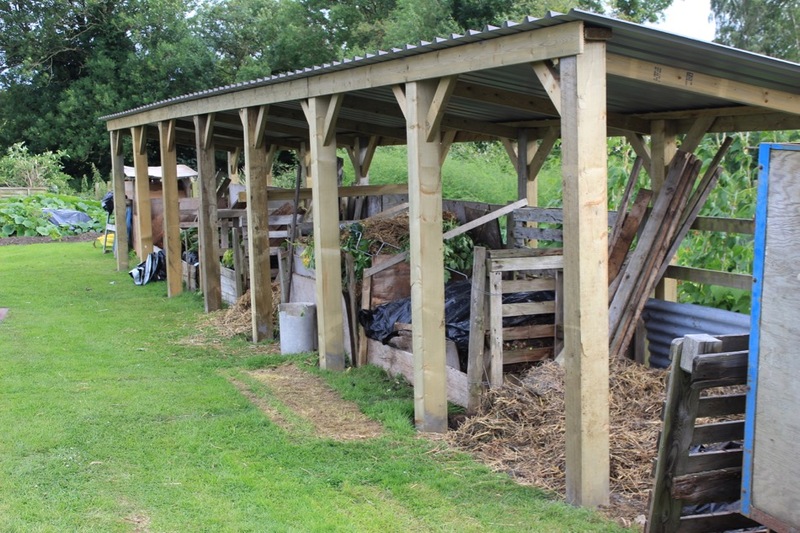 Why are you building a roof over your compost heaps? Too wet? 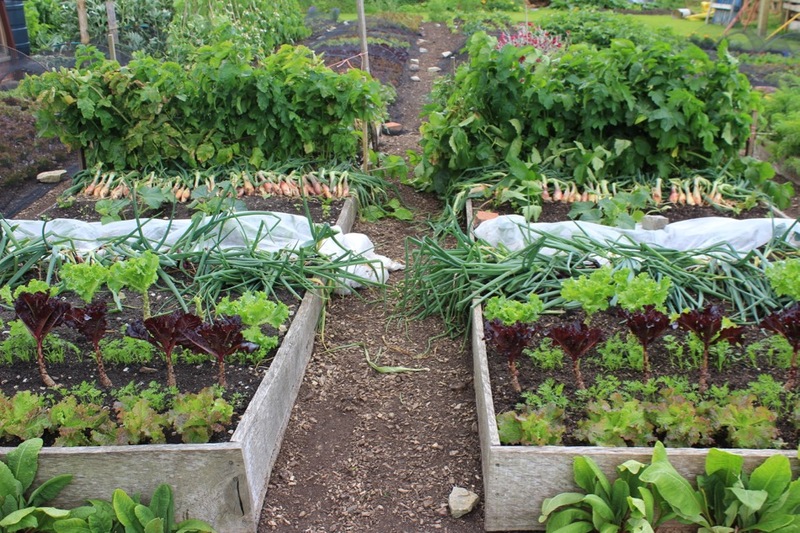 Yes to keep rain off and also to have somewhere to dry onions, garlic etc. 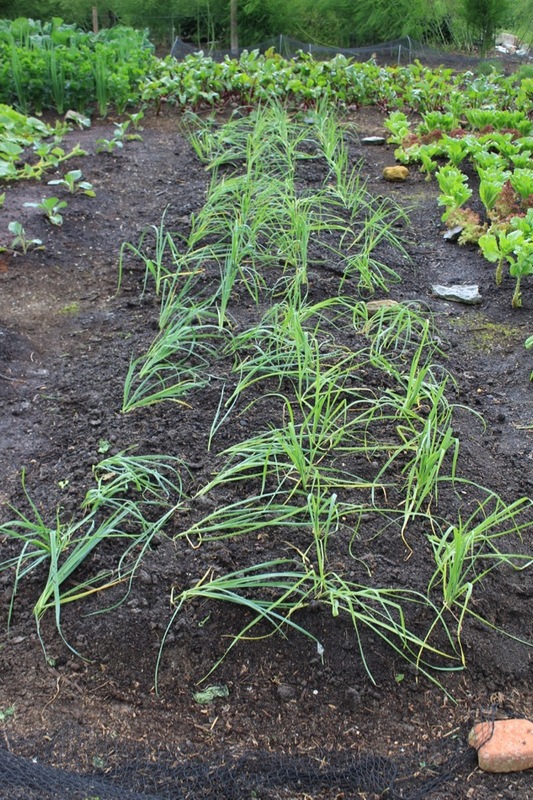 I use a fair amount of grass mowings when making compost and they are a wet ingredient so quality will be better with cover from the rain. I looked at having a structure with a green roof but its too expensive and this one looks good already. Hi Charles. I am reading your Salad Leaves for all seasons book. 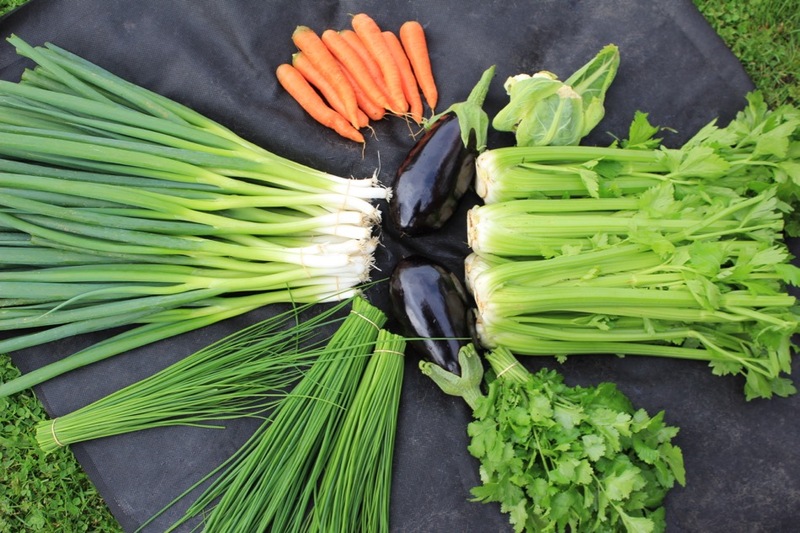 It talks about sowing multiple seeds of lettuce/herbs in a module. Do you thin afterwards of the whole module with 3-5 seeds get planted? 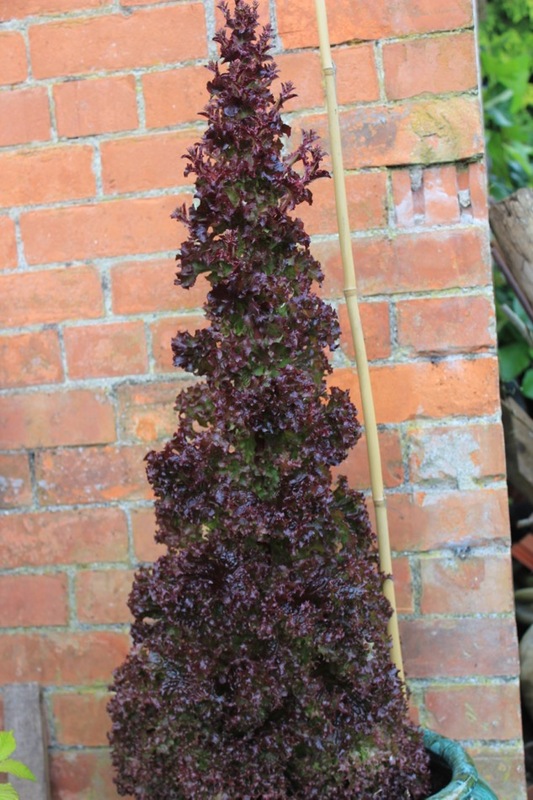 The thing is every pictures I see of your lettuce has one lettuce per your standard 22cm space. Yes I prefer one lettuce per station, and endive too. Thank you for the prompt answer. Will get on with sowing for winter crop this weekend.